Naples, FL (June 14, 2018) - Nominated by Collier County Public Schools and Superintendent Dr. Kamela Patton, The Greater Naples Chamber of Commerce is a 2018 recipient of the Florida Commissioner of Education Business Recognition Award. 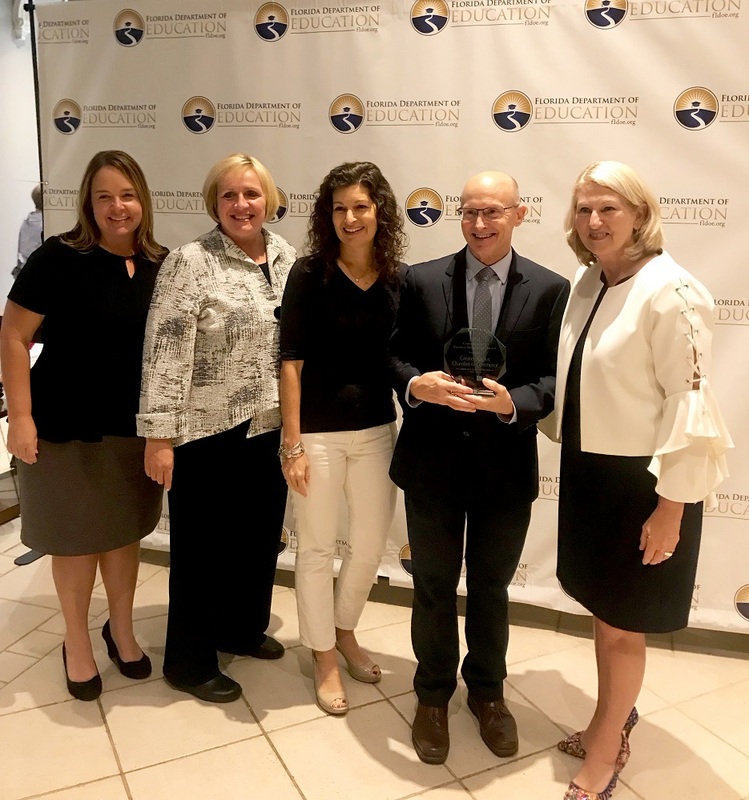 The award was presented to Michael Dalby, president and CEO of the Naples Chamber, and to Collier County Superintendent Dr. Patton at the Florida Chamber Foundation’s Annual Education Summit on June 13, 2018 in Tampa, FL by Florida Commissioner Pam Stewart. To support this effort, the Chamber hired a part time internship coordinator in 2017 and has recently increased this position to a full-time, work-based learning coordinator. Thanks to the collaboration between the school system, businesses, and the Chamber, community members view internships and work-based learning as a pipeline for future employees, supportive of the local workforce, and a way to gain fresh perspectives. Additionally, the Chamber and LCF support education and work-force efforts through career panels at schools, the popular Youth Leadership Collier™ program for rising high school seniors, and connections between businesses and future talent. The Greater Naples Chamber of Commerce is a non-profit organization of more than 1,400 active members that works to strengthen the local economy and promote the business community. The Chamber accomplishes this through public policy and business advocacy, leadership programs, executive business forums and sessions, and enhanced member benefits and services. The Chamber is dedicated to ensuring that Collier County remains the best place in America to live, work, and visit. For more information, call (239) 262-6376 or visit www.napleschamber.org.